A new patent filed by Apple is looking to greatly expand the location sharing capabilities of the company's devices by allowing users to track the movements of others in real-time. 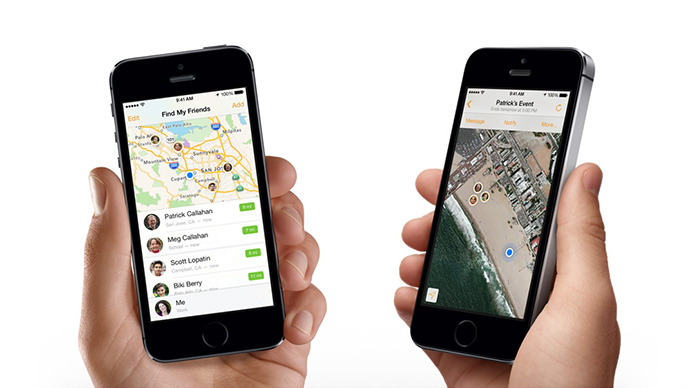 The Find My Friends app already lets Apple users pinpoint the locations of other iPhone or iPad users via GPS, but it doesn’t offer more than a one-time identifier – it can spot the location of the phone but not much else. The new patent would allow for a device's movement to be logged as it's carried around, meaning a future app could use all of the incoming data to trace a visible line showing where an individual is, where they are going, and the route they took to get there. As an example, the patent described a situation in which two people are each driving a car and running their navigation apps. The second driver, trailing the first, would be able to receive real-time spoken directions from their device based on the location tracking data compiled from the first device. Instead of spoken words, the app could also present directions via text, draw a continuous path of the first driver’s movement, or perhaps offer a combination of the three options. Other examples include potentially letting parents track the whereabouts of their children. There’s even potential for a “mirroring” mode, which would let one user “transfer” what they’re looking at on their screen to a second one, so the second individual could see exactly what the first user is viewing on their device. The feature would work across electronic devices – smartphones, tablets, laptops, smartwatches, and more. According to CNET, the technology would use GPS for location tracking but could also foster communication between two devices through a cellular network, Wi-Fi connection, or Bluetooth. Of course, any expansion of location tracking abilities is bound to face questions from privacy and civil liberties advocates. Apple’s patent, however, states that in order for someone to track a person's movements via the new tech, they would have to first request approval. That qualification could become important for concerned users, since a new study from Carnegie Mellon showed that apps incorporating location tracking are typically tagging where you are thousands of times a week. According to Wired, the report actually found that users had their locations shared 5,398 times in two weeks. The study found that even apps that wouldn’t necessarily need to highlight location – such as games and digital Bibles – end up tracking your whereabouts, often for advertising purposes.